The PC has been around for three and a half decades, but the way we interact with them hasn't evolved much: We type, we point and click, and, increasingly, we touch. 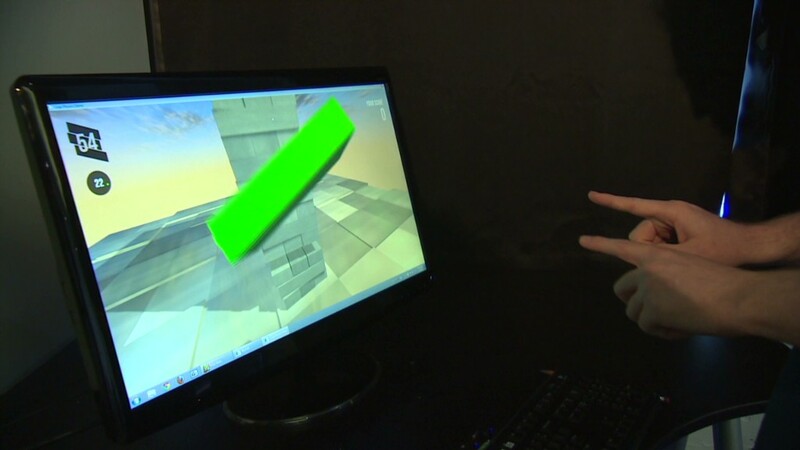 A company called Leap Motion wants to make computing decidedly more 21st-century. By adding hand motions and gestures to the mix, Leap Motion believes it can help transform computing from a two-dimensional world to a 3-D one. The $80 Leap Motion Controller is a small plastic and aluminum rectangle that houses a pair of 3-D camera sensors. The controller tracks your hands in space with pinpoint accuracy: It can detect movement of 1/100 of a millimeter. It works with Windows PCs and Macs, and is currently supported by more than 80 apps. Sounds promising. Too bad it doesn't serve any practical purpose. The Leap Motion Controller, like Google (GOOG) Glass, feels like a solution without a problem. It's a perfectly functional product that we will all undoubtedly use in the future. But it just doesn't mesh with today's landscape of PCs in any meaningful way. Sure, it has some interesting niche applications, like an app that turns the Leap Motion into an air harp. But there's nothing revelatory about navigating and manipulating Mac OS X and Windows with your fingers -- Leap Motion doesn't make using a PC any more efficient or powerful. And using your finger to open an app, scroll through a website or organize photos isn't anything you couldn't do before. It just becomes slightly more futuristic at the expense of speed and convenience. All that just serves as a reminder that PCs are designed for mice or touchscreens. Like Microsoft's (MSFT) Kinect, the Leap Motion is better suited for the living room TV set. Leap Motion says its device will be at its best when people start designing apps that you can manipulate in 3-D space. Yet it offers no ideas of its own as to how that might look or feel. Its lone tech demo just shows the bone structure of your fingers rendered as lightning. And with the exception of a single app, none of the Leap Motion software even makes use of its touch controls. Its Airspace app store requires a mouse and keyboard. So Leap Motion can't replace the mouse entirely. Even though CEO Michael Buckwald thinks the mouse will disappear eventually, even he is not willing to declare it obsolete for the time being. If it wants to be a transformative technology in the same way the mouse or the touchscreen has been, Leap Motion needs to do more. A lot more. For instance, there's a lot future potential for a technology like Leap Motion's to help make smartphones and tablets better productivity and creation devices. Imagine being able to create a presentation just as easily on a mobile device as on a PC, or being able to sketch and draw with a high level of control-- just by moving your hands through the air. Working with companies like Asus and Hewlett-Packard (HPQ) to integrate the technology into future products is a step in the right direction. Just look at what happened to video conferencing when cameras microphones started to be baked right into laptops, smartphones and tablets. If all it ends up being used for is a gimmick controller for games, or a deficient navigation accessory, it will all be for naught. Leap Motion will require wide-reaching, truly useful apps built specifically for the device to have any sort of tangible impact.